We are very excited to be able to feature this car. It might not be especially old or exotic, but it’s very rare and we would be able to tell what it was if we saw it at a car show. The Reliant Motor Company sold its first vehicle in 1935 and cars like the three-wheeled Robin have become quite famous over time. They offered a two-door car called the Scimitar in four different series between 1964 and 1986. The last Reliant cars were sold in 2001. When the Scimitar went out of production, a company based in Nottingham called Middlebridge Scimitar Ltd. bought the production rights to the Reliant Scimitar GTE and GTC. They managed to produce only 77 of them between 1988 and 1990. This car is powered by a 2.9-liter Ford V6 and it’s had two owners. It’s covered 48,000 miles and does run and drive, but could use some cosmetic work to make it truly show worthy. It is being offered at no reserve and is rarer than any of the Reliant-produced Scimitars. Click here for more info. 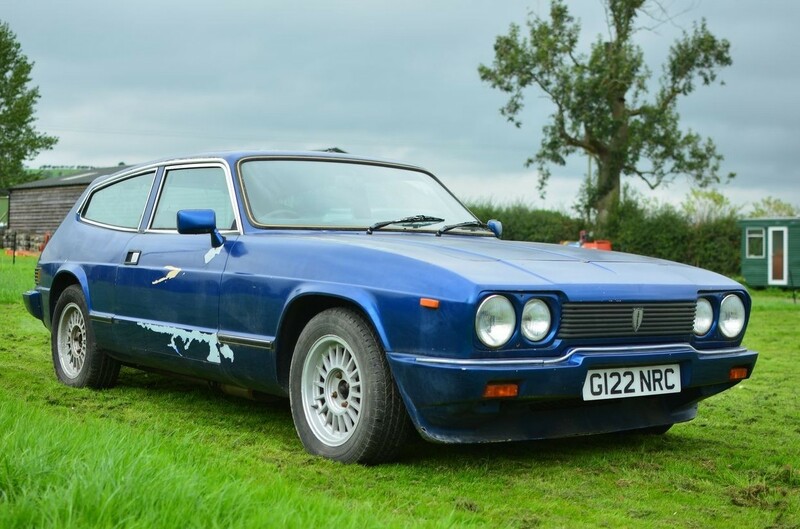 This entry was posted in Uncategorized and tagged 1989, auctions, brightwells, cars, classic cars, middlebridge, reliant, scimitar by classiccarweekly. Bookmark the permalink.